You have something terrific to publish — a large music or video file, software, a game or anything else that many people would like to have. But the more popular your file becomes, the more you are punished by soaring bandwidth costs. If your file becomes phenomenally successful and a flash crowd of hundreds or thousands try to get it at once, your server simply crashes and no one gets it. The main goal of this project was to separate the BitTorrent code from the Macintosh code, so that either can be updated without having to modify the other. I got 80% of the download window’s current functionality implemented within 3 days of starting the project. Then I decided to finish “just a bit more,” and the project just kept getting bigger and bigger. Azureus is a java bittorrent client. 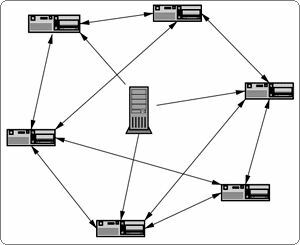 It provides a bittorrent protocol implementation using java language. Azureus now features an embedded tracker easily set up and ready to use. Azureus team need more beta-testers with dual-cpu macs to test kernel panic fixes. Please download latest cvs and come to irc channel to discuss results. 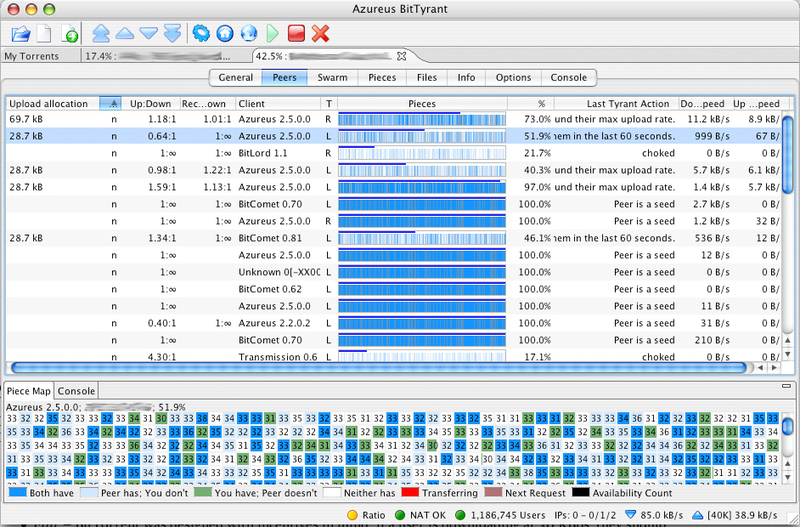 Fast, efficient, low CPU-use BitTorrent client. Transmission is a free BitTorrent client written from scratch in C. It aims to be as efficient as possible. It runs on Mac OS X, BeOS, Linux and NetBSD (and probably on other UNIX-like systems too). 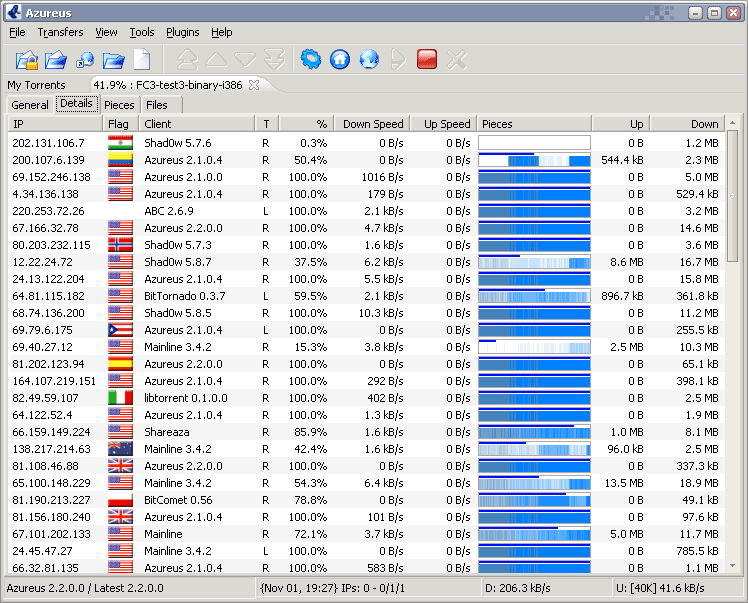 Light client still in beta with some nice features based on libtorrent library. BitRocket is a Native(Open Source) BitTorrent client for Mac OS X. At the heart of it's core resides the powerful libtorrent BitTorrent library. 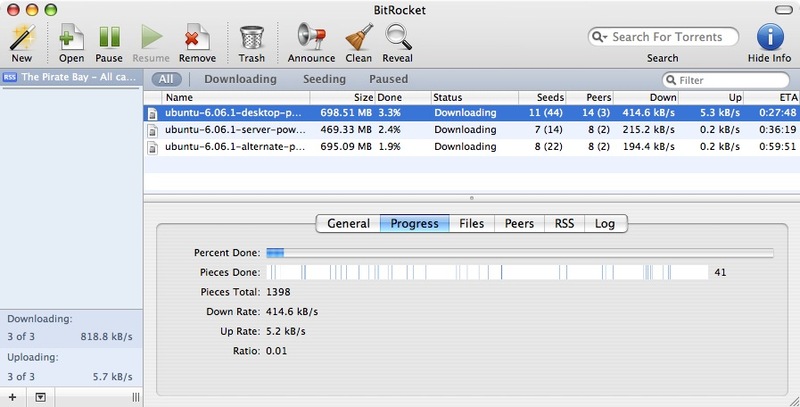 BitRocket is aimed to be a good alternative to other Mac OS BitTorrent clients. btpd-front is a simple btpd front-end. 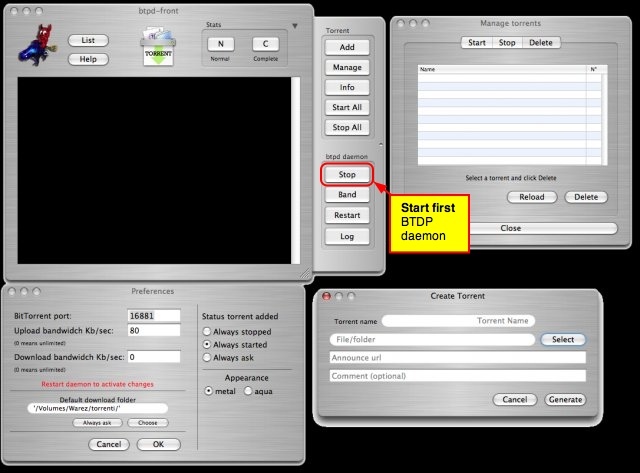 Btpd is the acronym for BitTorrent Protocol Daemon. btpd-front is made for a complete and easy tune-up and use of BTPD and for a light use of the BitTorrent protocol. 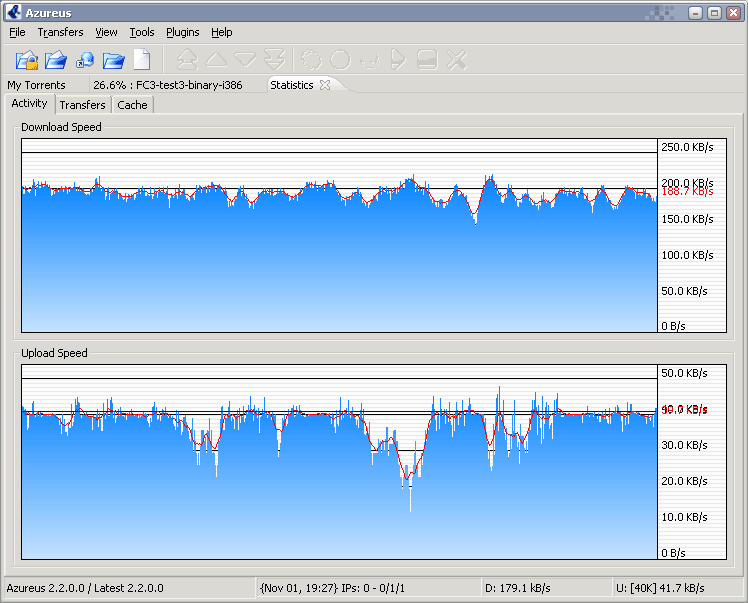 BitTorrent client that is optimized for fast download performance. 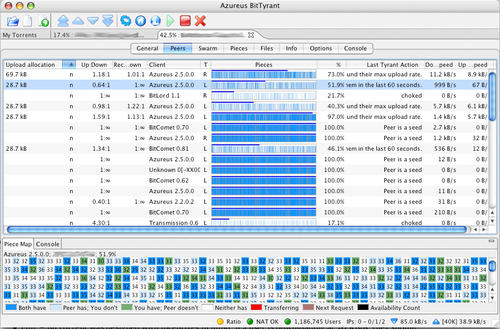 Fast – During evaluation testing on more than 100 real BitTorrent swarms, BitTyrant provided an average 70% download performance increase when compared to the existing Azureus 2.5 implementation, with some downloads finishing more than three times as quickly. Fair – BitTorrent was designed with incentives in mind: if a user is downloading at 30 KBps, they should upload at 30 KBps. However, due to the unique workload properties of many real-world swarms, this is not always enforced. BitTyrant is designed to make efficient use of your scarce upload bandwidth, rewarding those users whose upload allocations are fair and only allocating excess capacity to other users. Familiar – BitTyrant is based on modifications to Azureus 2.5, currently the most popular BitTorrent client. All of our changes are under the hood. You’ll find the GUI identical to Azureus, with optional additions to display statistics relevant to BitTyrant’s operation.